Davao City is on a fiesta mode this month as we celebrate the annual Kadayawan Festival. And what's a fiesta without food? Well, apart from the weekend food markets at mall carparks, restaurants are also making noise with their food offerings for this season. Park Inn by Radisson Davao's RBG Bar and Grill brings back Boodle Fight just in time for the Kadayawan Festival! 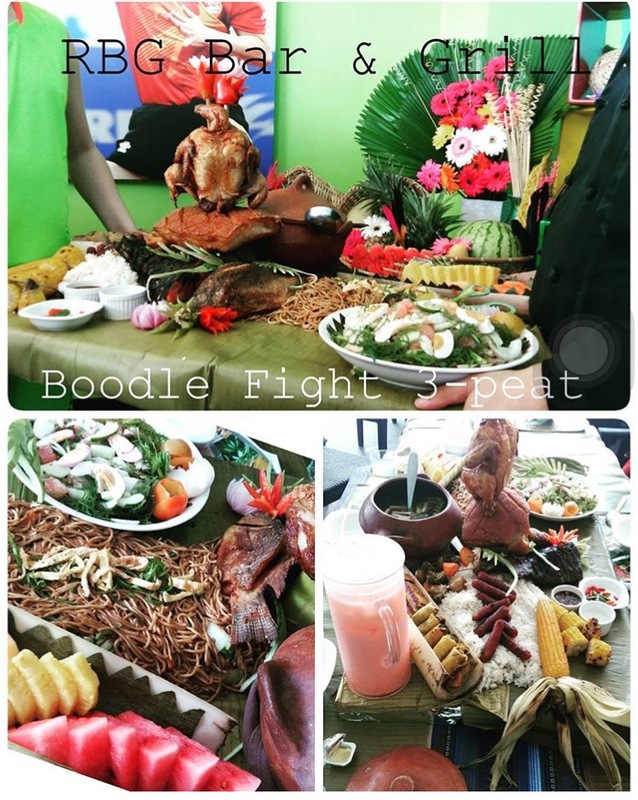 Now on its 3rd year, Boodle Fight 3-peat offers Filipino favorites such as Linagpang na Bangus, Lato salad with Salted Egg, Crispy Pork Belly, Hang Dried Chicken, Fried Tilapia Grilled Tuna Tail, Longganisa and Pancit Canton. You will also get to enjoy classic Pinoy desserts like Camote Float and Ube Turon. The food set goes with rice plus a pitcher of Samalamig (cold) drink. So what are you waiting for? Gather your friends and family and get all these for only Php2999, good for 8-10 persons. This is available everyday from 11:30am to 10pm starting today till Aug 31 only.